Wayne Anderson, 75, of Anoka, formerly of Oslo, MN, passed away on Saturday, April 21, 2018, in Abbot Northwestern Hospital, in Minneapolis, MN. 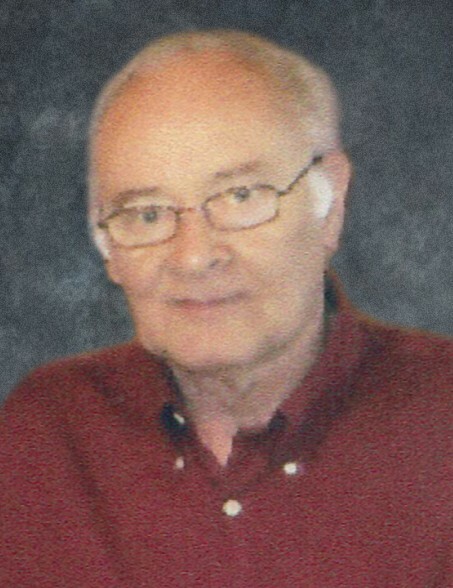 Wayne Morris was born on September 14, 1942, to Morris and Alice (Oas) Anderson in Warren, MN. He grew up in Oslo and was baptized and confirmed at Zion Lutheran Church. He graduated from Oslo High School in 1960 and was Salutatorian of his class. He continued his education for a year at UND and transferred to Bemidji State, majoring in accounting. Following graduation, Wayne served in the US Army National Guard. On June 19, 1971, Wayne was married to Cyndy Loos. They made their home in the Minneapolis area, where he worked for Investors Diversified. He was fortunate to make two trips to Norway, and was able to visit his maternal grandfather's (Chris Oas) homestead, as well as the family church. In addition to having a love for animals, including his several dogs over the years, Wayne had a real passion for horseshoes. He played in several leagues and always made a point to return home for Oslo Days to play in the tournament, often with his cousin, Larry Oas. Wayne was a great caregiver to the elderly and was always helpful to those in need. His own turn came to receive care in the past few years, after he was diagnosed with ALS. He is survived by his companion, Cyndy; mother, Alice, currently living in Valley Eldercare, Grand Forks, ND; sister, Dianne (Bob) Boroski of Oslo; brother, Gary (Judy) Anderson of Grand Forks; nephew, Daryl (Michelle) Boroski and their son, Gavin; step-nieces and step-nephews, Darrell (Cheryl) Olson, Bonnie Boman, Mike Olson, Wally (Nancy) Olson, Mary Olson, Scott Olson, James (Diane) Olson, Russ (Sherry) Rarick, Gab (Barb) Arntson, Rodney Breidenbach, and Chad (Kaylee) Briedenbach; and several special cousins. He was preceded in death by his grandparents; father, Morris; brother, Daryl; sister-in-law, Arlys Anderson; step-nephew, Ricky Olson; and several aunts and uncles. FUNERAL SERVICE: Saturday, April 28, 2018, at 10:00 AM, in Zion Lutheran Church, Oslo, MN. VISITATION: One hour prior to services at the church.